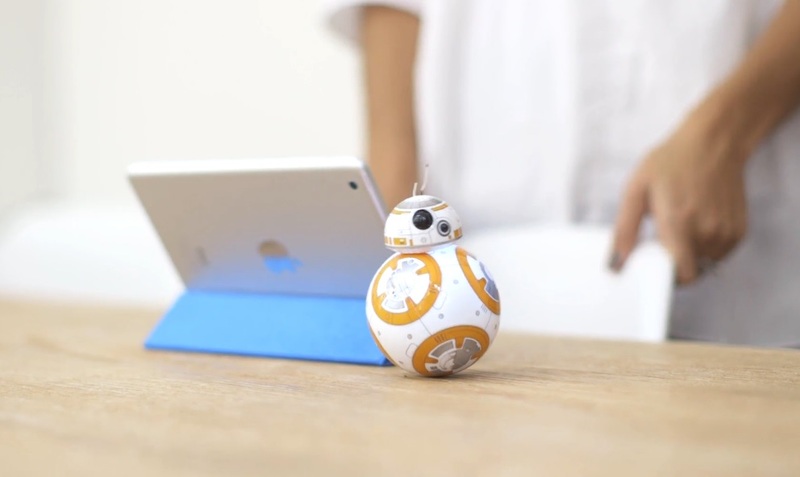 For $149.99, you can take home the adorable BB-8 droid from Star Wars: The Force Awakens. It's remote-controlled and interacts with your smart phone. "But for all the added bells and whistles," we are told, "the BB-8's primary directive is really just to be a ball of cuteness." And that it is. Amost as cool as the Millennium Falcon drone.